Long ago naturalist John Muir extended an open invitation to harken to the rugged beauty and wonder of the high mountains. Listen to the sounds of gushing streams as they roll through wild canyons, amid gardens of rocky meadows. Wander, surrounded by the forest and snowy peaks of the Sierra Nevada. Today, however, these places are in peril. 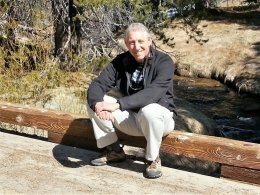 That’s according to a new study out of the Sierra Nevada Aquatic Research Lab in Mammoth Lakes. Part of the University of California Natural Reserve System, the laboratory provides a base for scientists and students doing field work in eastern California. 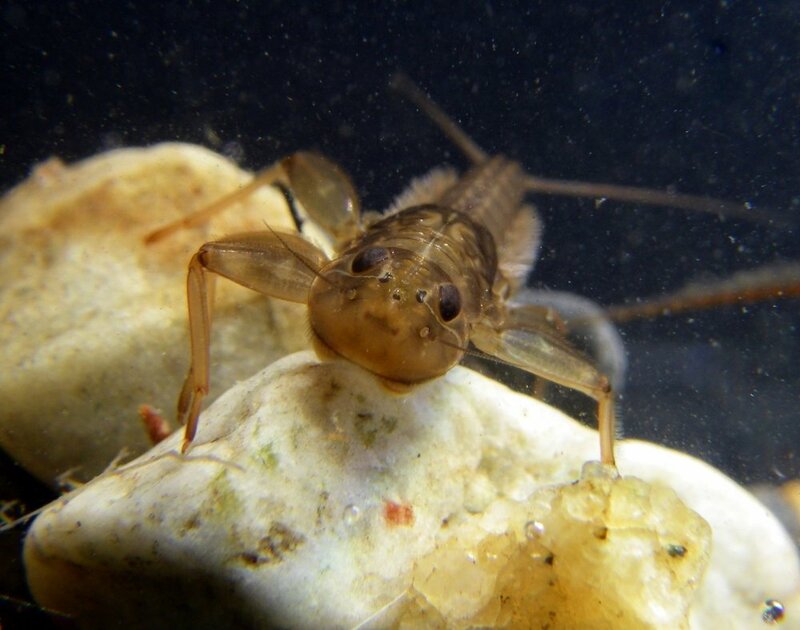 Published in the journal Freshwater Biology, the paper shows drought threatens the aquatic life integral to mountain headwaters and the rivers they feed. To understand how these montane streams respond to drought, Herbst and collaborators tracked the range and diversity of aquatic invertebrates from 2002 through 2015. Scientists divide streams into roughly two types of habitats: riffles and pools. Riffles are shallow, rocky areas with relatively strong currents. Pools are the deeper areas that alternate with riffles. Different species live in these different habitats, with the most sensitive creatures preferring the swifter waters of the riffles, Herbst explained. But as streams dry up, riffles disappear and pools can become disconnected. This reduces the richness of the stream community and results in a simpler food web. For instance, large algae-eating and filter-feeding invertebrates, which are prime food for larger animals, like birds and fish, tend to disappear. 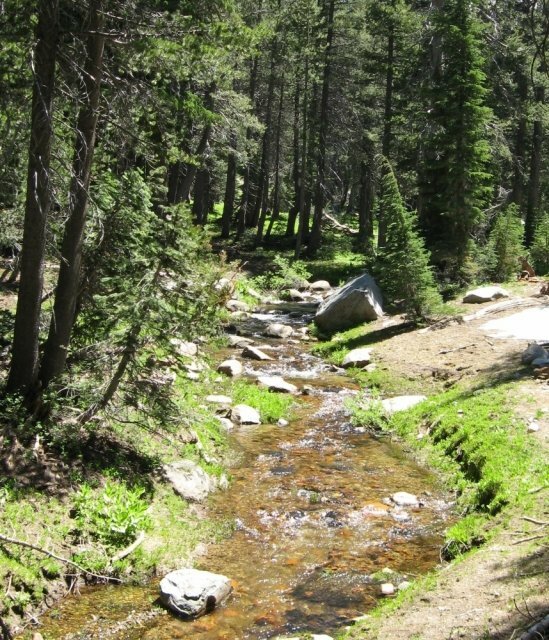 Mountain streams can bounce back, according to the scientists. In fact, it wasn’t until several years into the drought that the team observed a precipitous decline in biodiversity and the reorganization of the food web. But increased volatility in the climate could prevent recovery even when water returns. When flows do return, they increasingly come back in excess, in what climatologists call a whiplash. “We’re swinging from one extreme of drought to another extreme of flooding,” said Herbst, “and how this affects stream communities is not well understood.” These wide variations in flow may actually do more harm to the ecosystems than good. Normally perennial mountain streams may become intermittent, with disconnected stretches persisting for long periods. This is standard in coastal creeks, and the wildlife there has adapted to these conditions. There’s a whole community of insects, and even some amphibians and fish, in coastal watersheds that can survive these intermittent flow regimes. But this is not common in the high Sierra Nevada. And California is starting to see more precipitation fall as rain than snow, which can be just as devastating to mountain streams as the overall drought. Flow from rainwater is swifter and more variable than the steady flow provided by snowmelt. Rain comes on quickly and rushes through. Snow lingers, providing a longer, slower discharge that peaks in the late spring, rather than in winter. Snow also recharges groundwater far better than rain. Ultimately these differences set the conditions for what types of communities live in the streams, Herbst explained. What’s more, mountain streams play an outsized role in their watersheds. A small pond or creek at the headwaters of a river can be more critical to the resiliency of the ecosystem than miles of downstream habitat. It’s far easier for biodiversity to flow back downstream after a disturbance than to creep its way up the watershed. And if these mountain refuges run dry, there’s nothing farther upstream to reinhabit them. California saw tremendous rains this past winter, and Herbst is waiting to see what the runoff will be like this spring. He’s currently investigating how the ecosystems respond to wet years like 2019. But conditions are bound to change again, and he’s concerned about the whiplash trend.